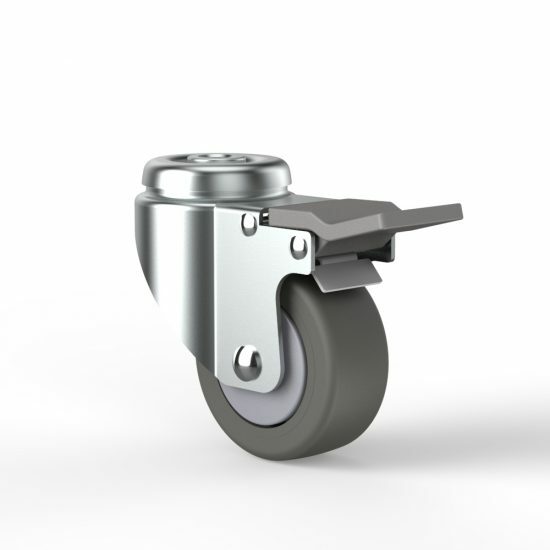 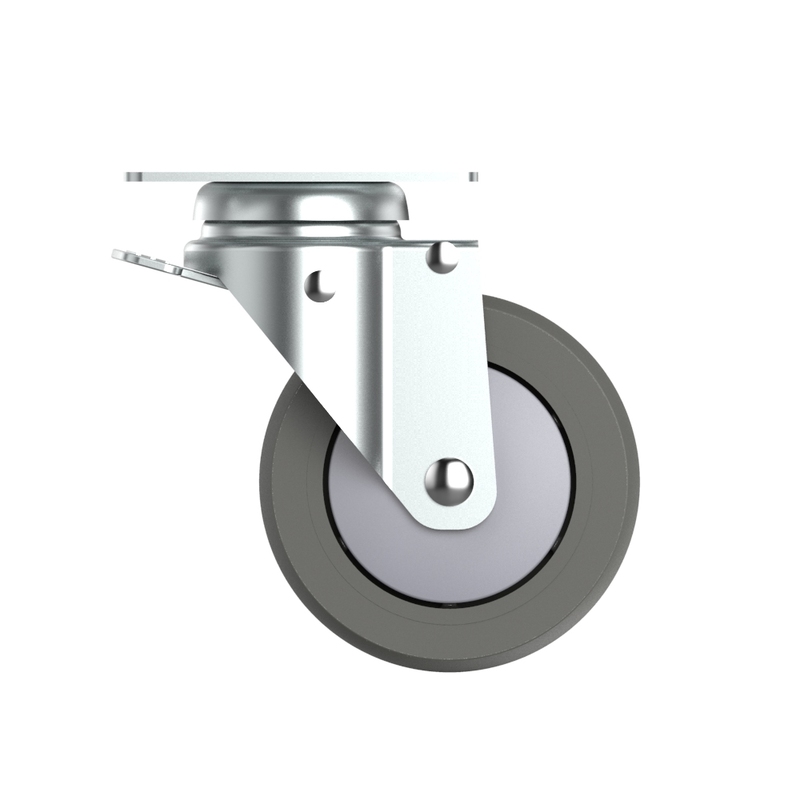 Housing made of pressed steel, zinc plated and double ball bearing sealed in swivel head. 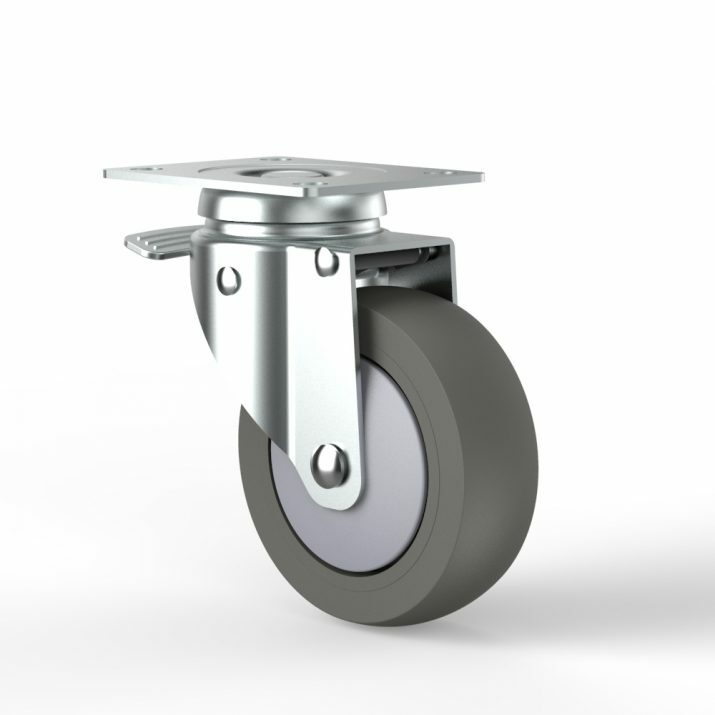 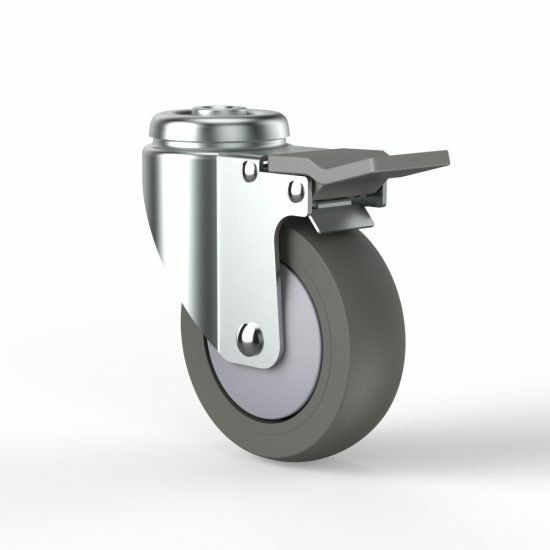 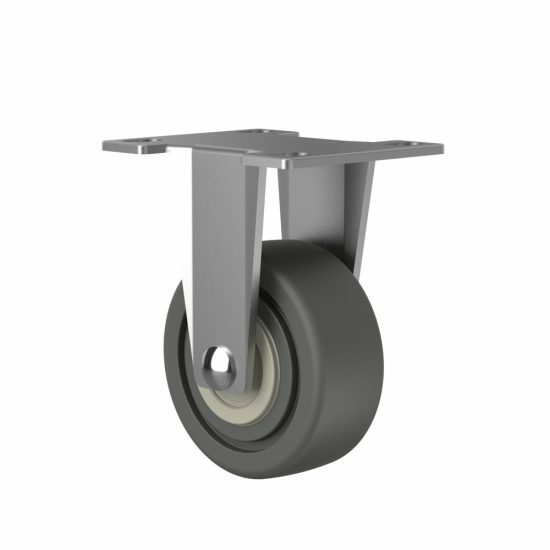 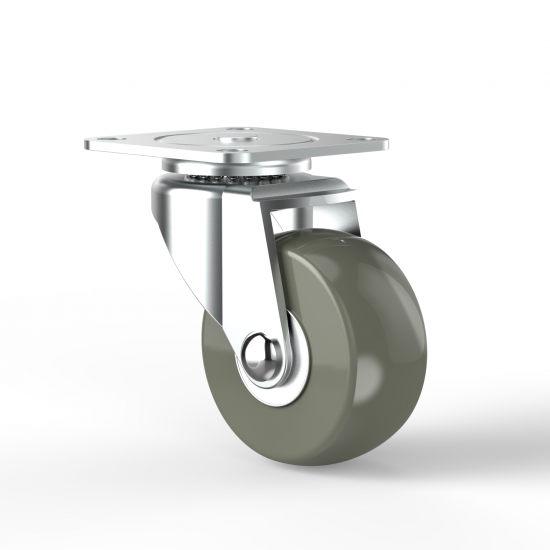 Wheel: PR (Thermoplastic Rubber) with plastic thread guard, ball bearing in the wheel center. 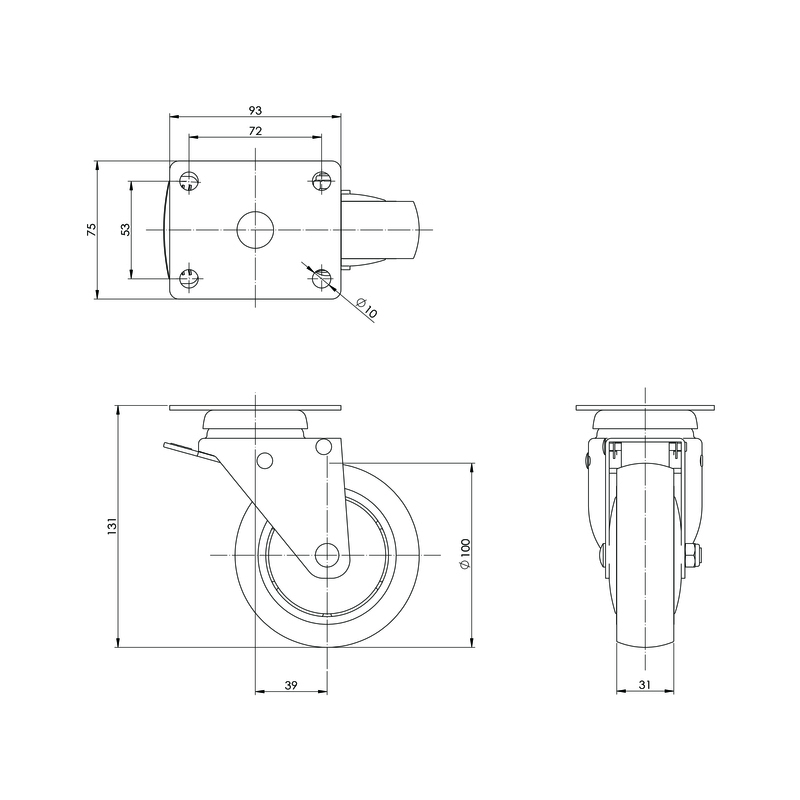 Fitting: Thread Stem is also available.